I have the basic 110v Yong Heng compressor that I want to upgrade to have the set pressure feature. I have the new version of their relay that comes with the wires attached and the dial pressure gauge. I have tried reaching out to YH for a schematic or directions on hooking up the relay but they have ignored me…Does anyone know of a schematic available or has the set pressure version? Thanks in advance! I have the basic 110v Yong Heng compressor that I want to upgrade to have the set pressure feature. I have the new version of their relay that comes with the wires attached and the dial pressure gauge. I have tried reaching out to YH for a schematic or directions on hooking up the relay but they have ignored me...Does anyone know of a schematic available or has the set pressure version? Thanks in advance! This is the original connection of my Yong Heng which came with the auto shut off function. The circled pair of wires goes to the pressure gauge. Hope it helps. This reply was modified 5 months ago by airgunfans. Thanks a lot! Could you tell me what the single lead plastic clip connector goes? Post a picture of the control panel with the door open, typically the pressure switch will have normally closed contacts which open on rising pressure, thus interrupting the power to the contactor coil. Sometimes a relay is used because the pressure switch contacts can't handle the current needed by the main contactor to start the unit. 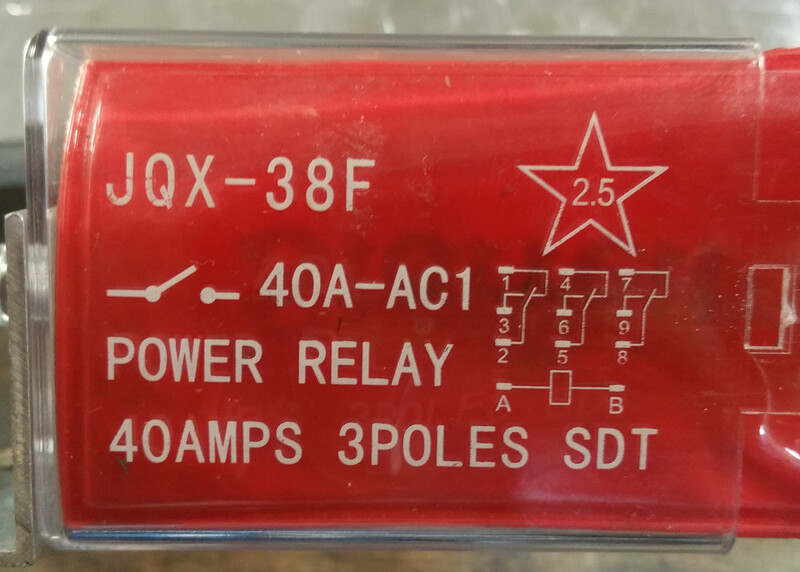 Looking at the relay, A1 & A2 are for coil power with the other terminals changing state on energizing, usually relays are shown in a de-energized state, 11 & 12 are connected de-energized and 11 & 14 connect once energized, always check with a continuity meter.. The relay in your pic is different than the one in the previous post.. Here is some better pics of the relay. Thanks for your help!! Did you get a press switch ? On the Compressor, I only see the on/off switch. Does a switch need to be added? This reply was modified 5 months ago by Lee545. If you have the set pressure type gauge, the switch is inside it. On the auto stop version, the gauge wire plugs directly into the loom. 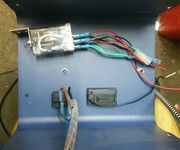 If you have the correct relay, the wires and plugs should all match with the wire and plug from the gauge. I do have the set pressure gauge switch. Are the plugs with light green wires plugged int anything,? the way they are crimped 2 into 1 looks like they being used as jumpers ..
your relay would need power at A & B to energize, the pics show no wires @ A & B….